Helsinki, Finland and Sunnyvale, CA — March 26, 2012 — Tuxera Inc., the leading provider of interoperable file systems for Android, Linux, Mac and other platforms, today announced that it has optimized Tuxera exFAT and other file systems for the NVIDIA® Tegra® 3 mobile processor, the world’s only 4-PLUS-1™ quad-core processor with a fifth battery saver core. After tight integration, Tuxera exFAT performance now greatly surpasses other popular file system solutions, including FAT32 and EXT4, on the Tegra 3 processor, unleashing the full potential of UHS-I high performance memory cards. Tuxera file systems are already shipping with the first Tegra 3-powered tablets. 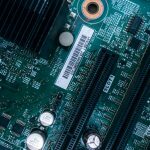 Tuxera exFAT has been continuously developed together, in conjunction with Tuxera customers, to meet the high performance and reliability expectations in embedded devices with tight processing power and memory limitations. 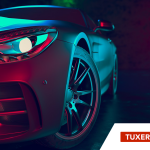 Today, Tuxera exFAT is successfully integrated into numerous mobile devices from smartphones to tablets and the latest automotive infotainment systems. Tuxera’s goal is to make sure every manufacturer can adopt high-performance, reliable SDXC support quickly and cost-efficiently. Tuxera exFAT works well also with other external storage types than SD cards over USB and other connection ports. For more information on Tuxera exFAT for NVIDIA processors, please contact sales@tuxera.com. 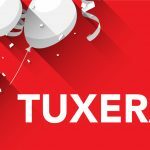 Tuxera is the leading provider of file systems that allow music, pictures, videos and other content to be ported across devices. 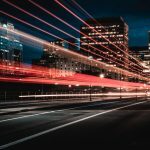 Building on the success of open source, Tuxera’s industry-standard NTFS and exFAT solutions for Android, Linux, Mac OS X and other platforms have tens of millions installations. Close collaboration with Microsoft ensures reliable compatibility and helps Tuxera to set the standard in high-performance, low power use for embedded and mobile solutions. Tuxera’s customers include leading hardware, software, and consumer electronics companies. For more information, please visit http://www.tuxera.com/.